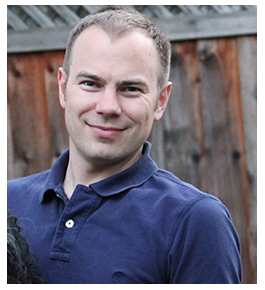 Earlier this month, Swift creator Chris Lattner announced he will be stepping down as director of Apple's Development Tools department to lead Tesla's Autopilot engineering team as VP of Autopilot Software. Lattner did not explain the reason for the move, but he later denied a report claiming he "felt constrained" due to Apple's culture of secrecy. So, we decided to reach out to him to learn about his true motivations. As it turns out, Lattner told MacRumors the answer is actually very simple: he is ready to move on to something new. I've been writing code for more than 30 years, and 16 of those years have been in the developer tools space. I love it, but I am ready to move on to something else. Autopilot is clearly incredibly important to the world because of its ability to save people's lives (and increase convenience). It is also a very, very hard technology problem and my experience building large scale software and team building is useful. Of course, I’ve also been a huge Tesla fan for some time. He added it was "a very difficult decision," but noted the opportunity to work with Tesla's Autopilot team was "irresistible." At Tesla, Lattner will help the company achieve one of its biggest goals: fully self-driving vehicles. As of October 2016, Tesla said all vehicles produced in its factory, including the Model 3, have the hardware needed for "full self-driving capability at a safety level substantially greater than that of a human driver," and it's now only a matter of time before the technology is enabled. Tesla Autopilot is semi-autonomous in its current state for tasks such as steering and parking. 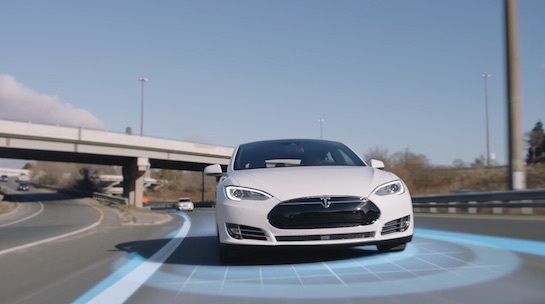 Tesla's second-generation hardware suite has eight cameras that provide 360 degrees of visibility around the car at up to 250 meters of range. Twelve ultrasonic sensors and a forward-facing radar allow for detection of objects, even through heavy rain, fog, dust, and the car ahead. Tesla remains committed to enabling full self-driving capabilities by the end of the year, but the process of gaining regulatory approval, which Tesla said may vary widely by jurisdiction, will presumably be a long and challenging process. Once approved, however, the technology will truly change cars forever, and it's easy to imagine why Lattner would want to be part of that change. At Apple, he led a group of about 200 people responsible for Swift, Xcode, Swift Playgrounds, Instruments, CPU and GPU compilers, and low-level tools, among other things. These tools are used both within Apple and by third-party developers targeting the iOS, macOS, watchOS, and tvOS software platforms. Lattner was hired at Apple in 2005 to bring his LLVM Compiler Infrastructure to production quality for use in its products. He then started working on the Swift programming language in 2010, and it became a key focus of the Development Tools team in 2013. Swift was ultimately introduced at WWDC 2014. Swift now has a large community of developers contributing to it since it became open source in late 2015, so Lattner is in a good position to pursue a new opportunity without jeopardizing future development of the language. His duties will shift to Ted Kremenek, who had already been overseeing Swift for some time. Lattner said Ted has been "one of the quiet but incredible masterminds" behind Swift, which has an "incredible future ahead of it." Vision attracts talent, and it's obvious which company does (not) have it. Him leaving is a serious indictment on the direction of Apple's own secret car project. we decided to reach out to him to learn about his true motivations. I'm surprised no one has commented yet on the fact that it's Macrumors that talked to Lattner. Great job getting the interview! It's interesting to hear directly from him about his reasons for leaving Apple for Tesla. "Tesla Autopilot ('https://www.tesla.com/autopilot/models/design') is semi-autonomous in its current state for tasks such as steering and parking. Tesla's second-generation hardware suite has eight cameras that provide 360 degrees of visibility around the car at up to 250 meters of range. Twelve ultrasonic sensors and a forward-facing radar allow for detection of objects, even through heavy rain, fog, dust, and the car ahead. " Yes, but Apple has a whole range of different colour watch bands, and phones now in pink. Chris, can you persuade Mr. Cook to come along with you. Lattner is a brilliant guy, no question, but it seems a bit weird to put a compiler guy in charge of your autopilot program... It seems like, other than raw intellect, there's not much overlap. He's not I charge of the whole program. He's in charge of autopilot software. Seems a perfect fit. Also it's his leadership skills and direction. A compiler guy? He created a new language for christs sakes. Brilliant software engineers are not pigeoned holed into a single software technology. Yeah, but the Dongle Division gets all the plum work. Apple spends around 11 billion dollars a year on Research and Development, Tesla, around 800 million. Doesn't this say it all? Tesla are pushing forward with exciting new technology that is truly groundbreaking. They create products that astound the markets. What we see might not be 100% polished but we can see where it's going. New iterations come along at breath-taking speed (literally!). Elon has said he's aiming to produce a car that will drive itself trans continent, refuelling itself enroute as required, a car that will go and park itself, returning on request. All in the next few years. Apple? MacPro? ...in fact any desktop Mac. So we get cool emoji, new watch bands and what else? For the last 3 years I've heard Timmy tell us that Apple's product pipeline is the best in the history of the company, just watch this space. Every year so far nothing has emerged that makes the world go "wow". Personally I can't see what is in Apples future that requires a HQ like the spaceship. When it was conceived, yes. Now? Not so much. Just shows how far Apple has fallen from being an industry disrupter in just a few years. The money is still flowing for now but if I was offered a job at Tesla while working for Apple I know where I'd place my future. I thought everyone said Apple's car project was ridiculous because Macs or something. When someone uses the word "everyone", they are likely making a sweeping generalization that is incorrect.